David’s Seafood Grill invites diners to ring in 2017 at the popular Cedar Hill restaurant Dec. 27-Jan. 1. A steak and lobster dinner ($54.79) that’s large enough to split is a highlight of David’s special seasonal menu. Also on the menu: an 8 oz. cold water lobster tail dinner ($44.79), and Domain St. Michelle champagne specials by the glass or bottle. Tickets are available for a New Year’s Eve celebration with food prepared by John Tesar, currently on Top Chef and owner of Knife at The Highland Dallas (5300 E Mockingbird Lane). The party is expanding to The Highland Dallas’ ballroom to accommodate more people and kick off 2017 with a night to remember. Guests are invited to spend the last hours of 2016 feasting on a three-course meal crafted by Tesar, while enjoying entertainment from Ricki Derek and his 16-piece band. Guests 21 and up can indulge in the open bar. Festivities start at 8 p.m. and continue until 12:30 a.m. Attendees will be provided with champagne so they can toast to the New Year during a balloon drop as the clock strikes midnight. Guests can choose between two Supper Club seating options. VIP ($1,000 for four tickets) insures that groups of four can sit together with prime seating near the stage and dance floor. General admission ($225) allows guest to mix and mingle with general seating. Both tickets are all inclusive, including complimentary valet, tax and gratuity. 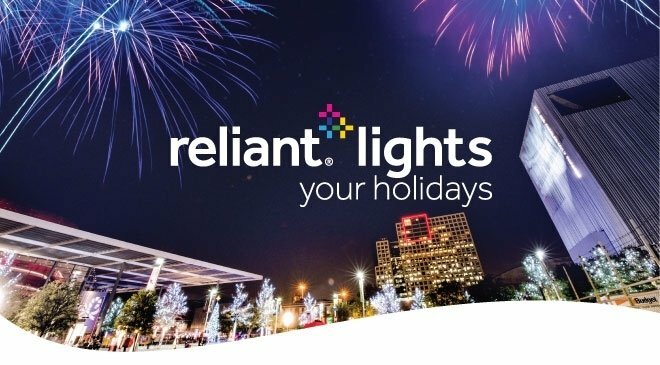 More than 550,000 energy-efficient LED holiday lights, totaling 35 miles in length, will dazzle Dallas during the Reliant Lights Your Holidays: New Year’s Eve Edition event at the AT&T Performing Arts Center Saturday, December 31. The lighting display is a continuation of the three-year sponsorship by Reliant. Mayor Pro Tem Mónica R. Alonzo; the Center’s Board Chair Matrice Ellis-Kirk; Doug Curtis, president and CEO of the center; Bill Clayton, Vice President of Customer Care at Reliant; and Delia Prine, Vice President of Programs for The Crowley Foundation will flip the switch to illuminate the display of lights across the center’s campus and its 43 trees in Sammons Park. That will also ignite a spectacular fireworks display over the center. Those attending will be treated to a performance by A.B. Quintanilla y Elektro Kumbia, and a spectacular fireworks display. Also performing will be the Dallas Tap Dazzlers, South Grand Prairie High School Ballet Folklorico, Studio One Dance Center’s Ellite Competition team, and The Book of Mormon cast. Entertainment is presented by the David M. Crowley Foundation. The Dallas Arboretum is celebrating the holidays with an elaborate collection of 25-foot Victorian style gazebos. 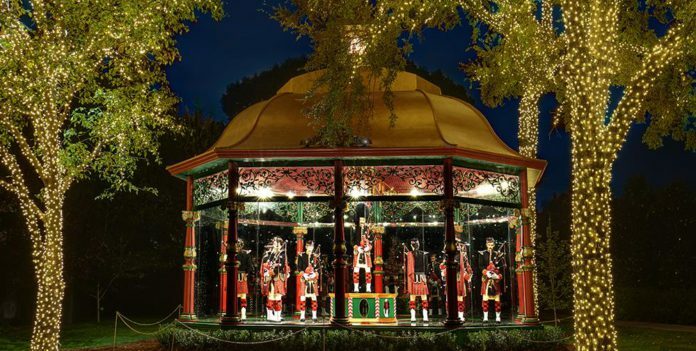 Each gazebo is filled with costumed characters, whimsical animals and music from the traditional Christmas carol. Visitors take a .75 mile stroll through the garden exhibits, with lots of stops for photos. The Arboretum is open for special lighted nighttime showings through Dec. 30, which include live music performances in the garden. Non-member prices are $20 for adults, or $12 for member adult. Children 3-12 are $10 for non-members or $9 for members. Non-member senior adults are $15, or $10 for senior adult members. The exhibit will remain on display through Jan. 8, 2017. More fun New Year’s Eve Events in Dallas.